Hi babes. I have been working with this cool independent hair company out of New York City called Hairstory Studio for a few years now. 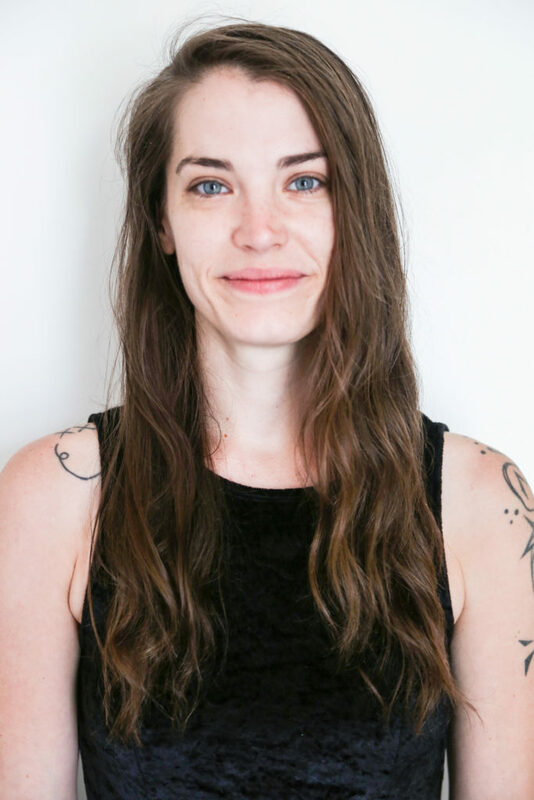 I originally was attracted to what they were doing because the visuals stories of hair transformations that they show in their instagram and quarterly magazine, and their Less is More philosophy on washing hair. 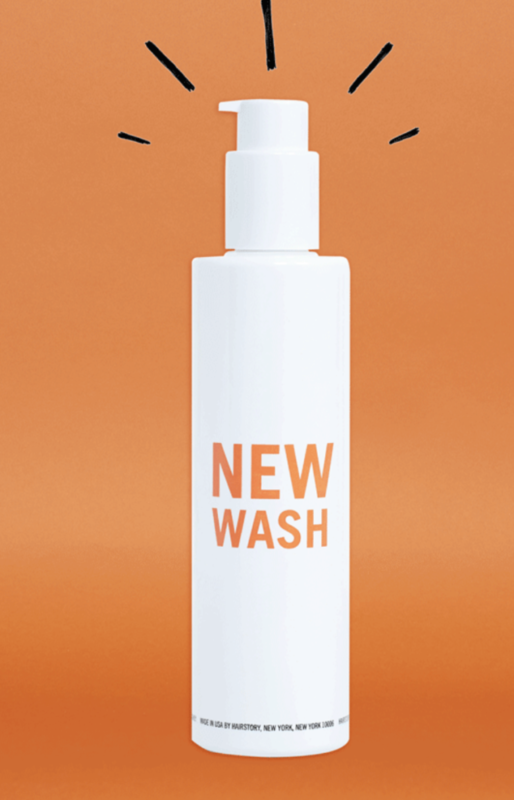 They launched their brand with a product called New Wash, which is a botanically blended and expertly formulated cream hair wash that doesn’t suds or lather…….And I tried it out and loved it. It may confuse some of you who come here for no-shampoo inspiration to see me talking about another product for sale, but hear me out. 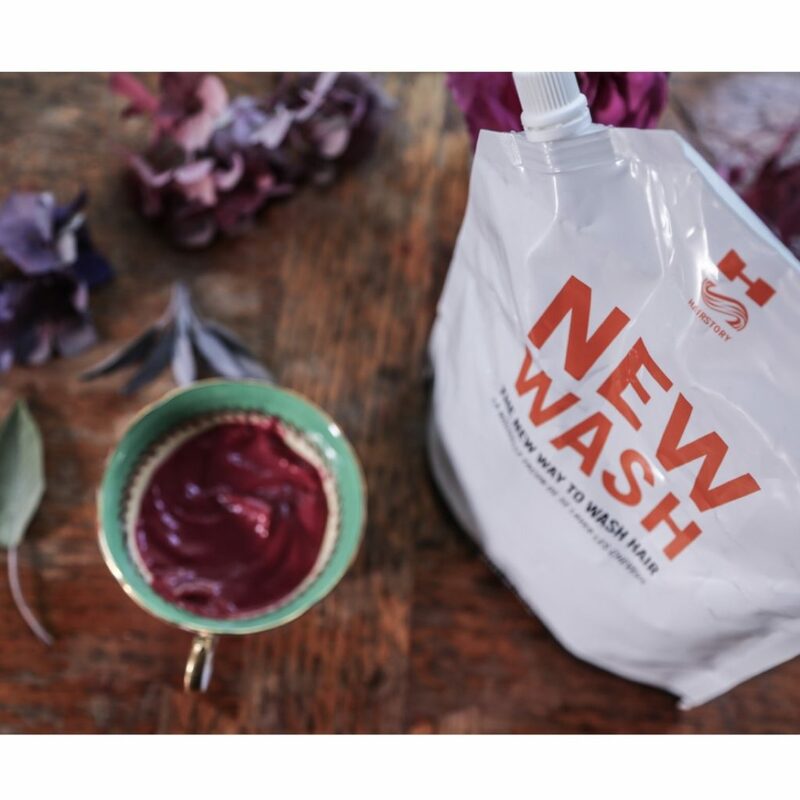 I am a real skeptic, but I gave it a chance and I wanted to share today what I love about this stuff called New Wash, and the way the company works and why it is a dreamy opportunity for Hair Colorists. I signed on as a hairdresser affiliate for Hairstory, meaning I make a small percentage of each sale that comes through their website when I am listed as a referral at checkout. I knew that in my clientele and readership, there was a place for a non-shampoo system that wasn’t quite as crunchy as the Baking Soda/ Cider Vinegar technique. And, because I do so much rainbow color and bleaching, I needed an alternative wash that was a bit more color/chemically treated-hair friendly. 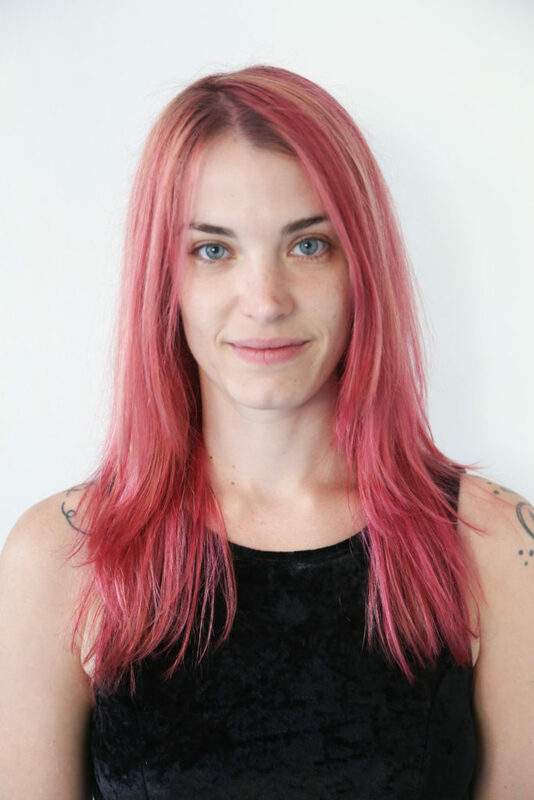 I soon learned that it was with the rainbow hairs is where New Wash REALLY shines, and it has become an essential tool in my hair color kit as a base for mixing color and for using to gently wash and condition brightly colored hair without any color loss or buildup. And as a colorist and affiliate of the company, I earn enough points from the sales of it to my color clients that they send me my own large bag of New Wash for free whenever I need it, and so I am able to use it exclusively in my color formulas. Thats right. Every bowl of color I mix is made in a base of New Wash. Why do I love it? Because it is the PERFECT consistency for color application, it glides on the hair beautifully, it is creamy and smells wonderful like roses and black tea, and it isn’t filled with chemicals. It is a rainbow hair colorists dream cream. While a bottle of the product may seem costly for the first time buyer, what I tell people is this: When you invest the time and money into rainbow hair, you need to also invest in a care plan for it, so that you get the most out of it. When you have bleached and colored hair, you need to wash it much less often and you never want to strip it. With New Wash, a little goes a LONG way so your bottle of product will last a long while and your hair will be so much happier and more hydrated and colorful. With that said, hair stylists, and colorists, I hope that you will register here today for your free bottle of New Wash to try out, and make sure to let them know that How-to hair Girl referred you! Affiliates like these are how I make a living and continue to share my experience here with y’all. If you are a client, friend reader, sign up today for 25% off your first purchase. 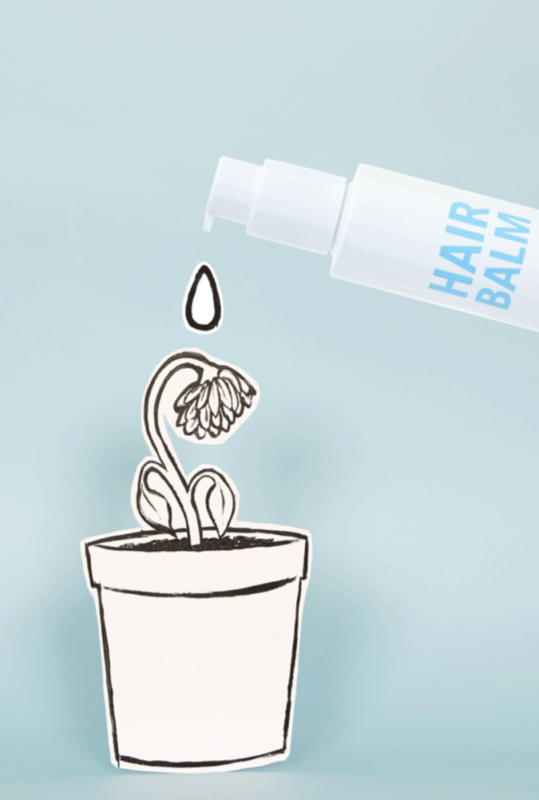 And, just FYI, Hair Story Hair Balm is my hair’s favorite balm. Check out my Instagram today for a custom color mixing video demonstrating my favorite ways to mix with New Wash!